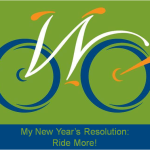 30 days of biking motivates me. It’s not just the satisfaction of checking the box every day on something I’ve committed to; if it were, I’d floss daily (said with the deepest respect for my dentist). Now that I’ve completed it twice successfully (April 2013, September 2011). and not completed it on other attempts (April 2011, April 2012), I’ve taken away some lessons and reminders from it. What I’ve gained makes it worth undertaking it once again. 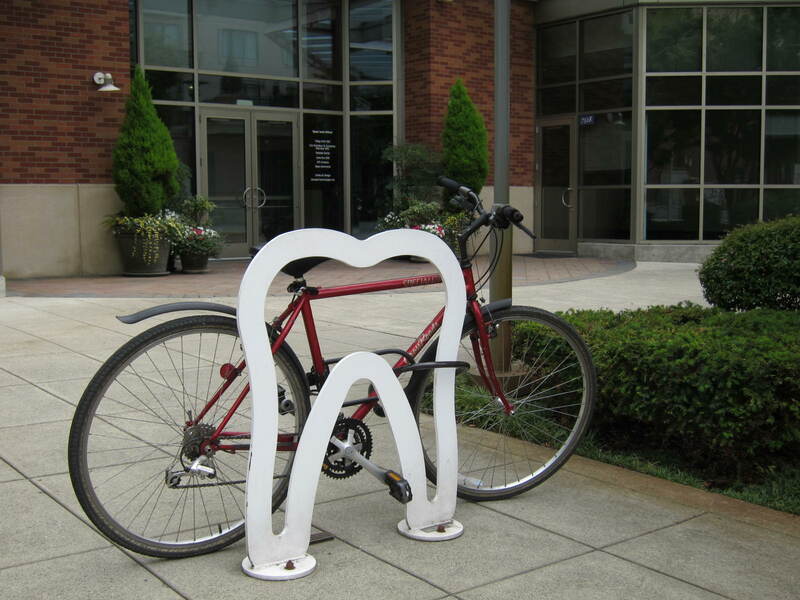 It doesn’t take much to tweak a basic loop and add some fun to bike parking. 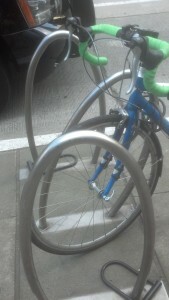 You’ll find this rack in downtown Seattle at 2nd and Union. 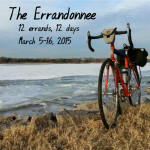 Further inspired by the January Project with its daily ride photos, despite my utter lack of photography skills, and by the idea of having one word stand alone, I decided to share one word and one picture each day that represent something about bicycling. Speaking of flossing…. guess what kind of business is found inside the Redmond office building that sports this rack? Fun, artistic, or whimsical bike racks add to the impression created by a neighborhood or shopping district. They provide a strong visual cue asking for my business; I preferentially shop, eat, and obtain professional services at places that invite me in this way. More bonus points if you sprinkle some fun on the parking as long as it’s still functional. Second, and far more obvious, riding my bike is fun and that keeps me riding. Today makes a great example. I worked at home in the morning, planning to ride to my meeting at the point in the day when the forecast told me I’d have some beautiful Seattle sunshine. But there’s always one more email, and then just one more, and by the time I left I had to grab an express bus to make it in time. When I left the office at 7pm I considered just reversing that trip. After all, I’d already ridden my bike to the transit stop and from my meeting to my office in Pioneer Square–the box had been checked. But the sun was still shining, the air was mild, and I wanted to ride. 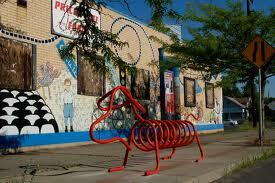 This “weiner dog” bike rack invites lots of people on bikes to stay and explore the Garland neighborhood in Spokane. I set off north on First Avenue in downtown Seattle, then turned east on Pike. Taking this route brings me to a moment of truth: The transit stop at 6th and Pike. I can stop there, place my bike on the 522 or the 312, and read my Kindle for the next 30 minutes. Or I can keep riding and it’s just a few more uphill blocks to the Melrose Trail, and from there not that far to the University Bridge, and from there I can take the Burke-Gilman Trail (or give my bike a bus ride home). The deciding factor when I reached that bus stop? Riding my bike was too fun to stop. Beautiful weather, the “whee” factor on the downhill sections that I knew lay ahead, feeling strong because I’m self-powered–all the things about riding my bicycle that put a smile on my face were there. That’s fun. PS: Dear Surgeon General, Americans will take our daily prescribed dose of exercise as long as it’s fun. What’s the most fun you’ve ever had on your bike? 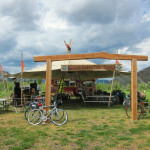 Where is your favorite fun bike parking? Send your photos of great bike parking in Washington to Louise@WAbikes.org, tag them #WAbikes #bikeparking on Instagram so we can spot them, or share with us via Facebook or Twitter. They’d make a fun pictorial blog post in future. 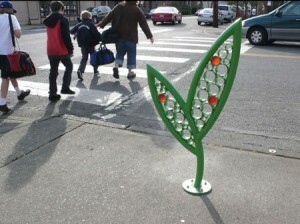 The city of Kent, WA, commissioned these leaf-shaped bike racks as public art for their downtown. This article was posted in Bike Culture, Bike Parking, Events, News. Bookmark the permalink. Follow comments with the RSS feed for this post. Both comments and trackbacks are closed.